Yesterday I decided to create my first Treasury on Etsy. After lots of confusion and a bit of frustration...I figured it out and published my very first Treasury. It is titled 'Mustard Ahoy!' and features all things mustardy. So nice. :) I've had some great comments and I'm just enjoying getting to know Etsy a little more daily. Makes me happy. Check it out for the next two days here. Collage Bottles No. 6 and No. 50 are now in the Etsy Shop! Check them out HERE. I have one more on its way too. I went kinda crazy last night and busted out three AND worked on a painting! YEAH! I'm pretty stoked right now as I haven't felt so creative in the past few weeks. As I've promised time and time again, I WILL be working on some collage BOXES. But the bottles have just been so much fun, I couldn't resist doing a few more. So soon. Very soon! And a variety of sizes! Oh my! Ok. It's finished! 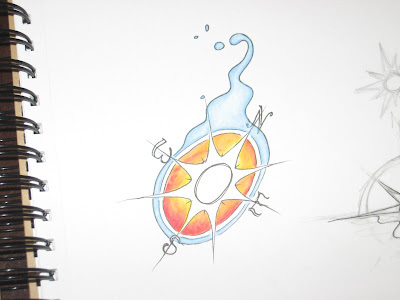 I finished the first draft of my friend's tattoo. 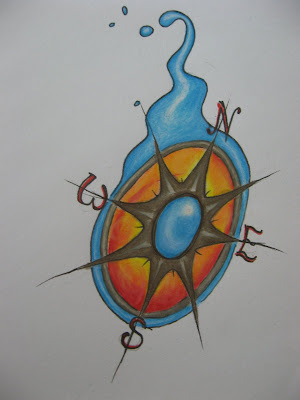 She said "I love summer, the water, and maybe a compass rose..." so this is what I came up with. I did two version. With and without the sun rays. It's a little rough...but I like how it turned out. I also had to be ghetto and take a picture of it rather than scan it because our house is still so disorganized from moving to set up the printer/scanner. Eek. Oh well. More to come! 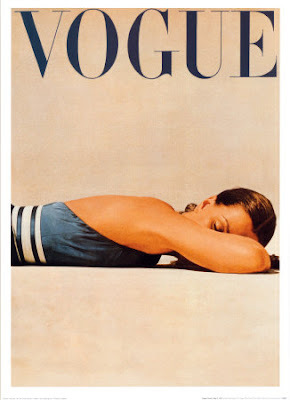 I might do some collaging today. I apologize for the silent week. It's been a crazy fast one and I can't believe it's already Tuesday of this next week. So nuts. This past weekend I took my husband to a No Doubt concert for his birthday...his favorite band ever. It was AMAZING...as you can probably imagine by the picture. Creatively, I've had trouble fitting time in this past week. 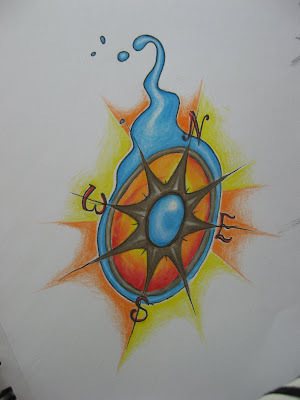 But I buckled down a worked on a tattoo design for a friend last night that I've been putting off (sorry Paula). It's not finished yet but it's coming along. 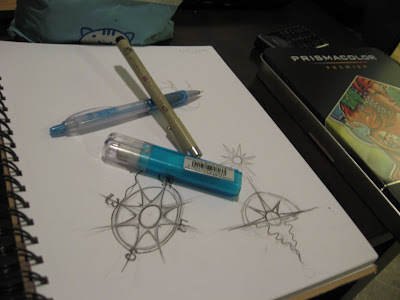 I wasn't completely useless this weekend and went out and bought a BUNCH-o-crap of cool artsy stuff and supplies. Treated myself to a huge set of Prismacolor colored pencils...drool. And some more boxes to make some more collage boxes...hopefully soon. Keep your eyes peeled! Okay everybody. The time has come...I've posted my FIRST item for sale in my Etsy store! I hope to add two more by the end of today so check back soon. 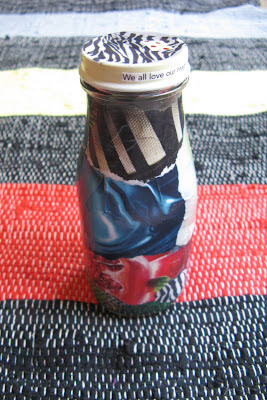 I'm selling my first Collage Bottle. 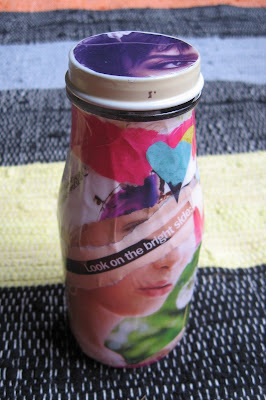 My Collage Bottles are entirely recycled from magazines and Starbucks frappuccino bottles (guilty smile). Each one is one-of-a-kind, colorful, with a matte finish, and great for storing all your trinkets, supplies, beads, jewelry, marbles, thoughts etc. etc. They're super cute too. :) They are all numbered as well which means they will each have a number somewhere within the collage. This first one is No. 19. Oh yeah. PLEASE check them out and leave me a comment. I'm so very excited about these!